Viral marketing is a concept used to pass on a marketing message to others, while creating a potentially exponential growth in the message's visibility. You'd be surprised how this simple, free marketing tool can work to your advantage. Unfortunately, most people do not maximize their exposure potential. Signatures can be an excellent viral method if used effectively. As you probably know, most email programs will allow you to create a signature that can be attached to every message you send. Be sure to add the signature to all your outgoing emails and replies. Include a catchy tagline and add a separator like a dotted or squiggly line between the email message and your signature. It helps set it off from the text and decreases the chances of it getting overlooked. I must say that I'm surprised that this viral trick is not used more. It can be very useful, especially if you have a site that is geared towards entertainment. The idea behind this is to create a simple screensaver that promotes your site and then offer free downloads to your visitors. Imagine thousands and thousands of people flashing your site's address across their PC screens. Now, you may ask, "Why would someone want to download a screensaver advertising my site?" Well, that's a good question and the answer is you have to make the screensaver appeal to them. 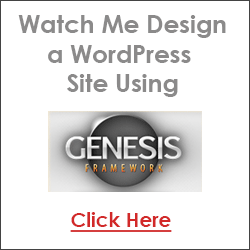 For example, I used this concept on a site I owned a few years ago. It was a website about the NBC soap opera Days of Our Lives. I created a screensaver that rotated pictures from the cast. I bought a simple screensaver creation program from a company called CustomSavers.com (no longer exists). 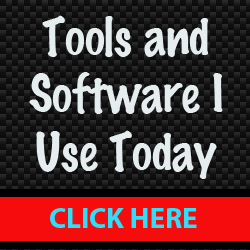 The software was very easy and it automatically creates a simple executable (.exe) file that you upload to your website for your visitors to download. To promote my site, I created a simple JPEG image ad for my website that rotated along with the pictures of the cast. The program also imbeds your website address in the control panel of the screensaver so when people adjust the settings your link is displayed. The nice thing about this viral marketing tool is that your visitors do all the work. ;) Screensavers are fun so people enjoyed telling their friends about it. In no time, my site was getting instant exposure thanks to the numerous Days of Our Lives fans that helped spread the word. In order for this to be effective, it's important to create a screensaver that relates to the theme of your site. For example, if your site is about gardening and you offer a screensaver with pictures of birds, it may not go over as well because that's not what your audience came to your site for. Offer a screensaver that relates to what your site is about. To get your own custom screensaver program, visit Yahoo.com. This is a simple form that allows your website visitors to tell other people about your site by sending a simple email. I use this viral method on this site and I was surprised at how many people use it. I receive carbon copies of all messages so I can keep track of what people are saying. There are some pretty fancy "tell a friend" scripts out there that you can install. Some even send the referrer a "thank you" message by email. This is another opportunity for you to add a marketing message about your site. To find some "tell a friend" scripts, visit the CGI Resource Index. 1) Many forum administrators will allow you to add a signature to all your posts. The more you participate, the more your link will be displayed throughout the forum pages. 2) Some forums are indexed by the search engines so if your site is found by the search engine spiders then it may help your rank in some of the search engines. Try to participate in user forums that relate to your site's theme. If your site is about knitting, then try to find forums that cater to arts and crafts, etc. Post as many helpful messages as you can. If you build up a reputation as a forum member that people can go to for guidance, it will enhance your credibility and people may be more inclined to visit your site. This is probably one of the most widely used and effective viral tool used online. Webmasters are always looking for content to enhance their sites, so why not give them what they want. Write articles about topics you're interested in (preferably related to your site's content) and submit or trade articles with as many sites as you can. ArticleCity.com is one of the leading content providing websites that allows webmasters to reprint their published articles. Simply submit an article you've written to their site and if it's accepted, you'll quickly find your work of art in their directory. Article City allows the authors to add an "About the Author" box to the end of each article submitted. This box includes a link back to the author's site and a short tagline about their website. According to Article City's terms, every person that uses an article must publish it in its entirety and leave all links active and intact. This ensures you get the proper credit for your work. Also, for any article you have written that's published on your own website, be sure to provide instructions for people that may want to reprint it. Either tell them to email you or explain how to properly publish your work. Not only will writing bring in additional hits, but it will also help you build credibility. Hopefully this has given you some ideas to help start your viral marketing campaign. If done effectively, you can really start bringing in the traffic. Good luck!